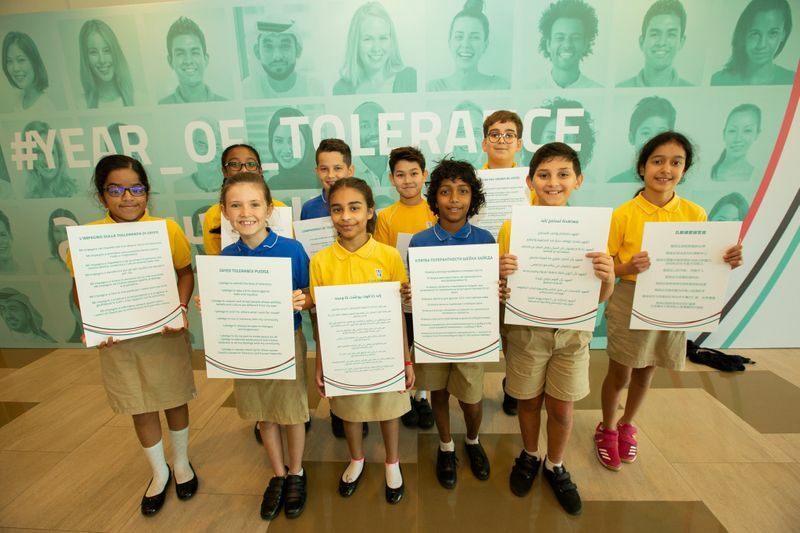 Abu Dhabi: The Education Affairs Office of the Abu Dhabi Crown Prince’s Court on Thursday launched the Zayed Tolerance Pledge at a gathering celebrating and reinforcing the value of tolerance espoused by the late Shaikh Zayed Bin Sultan Al Nahyan. The pledge was announced in anticipation of the historic visit to the UAE by Pope Francis and Grand Imam of Al Azhar Dr Ahmad Al Tayeb. 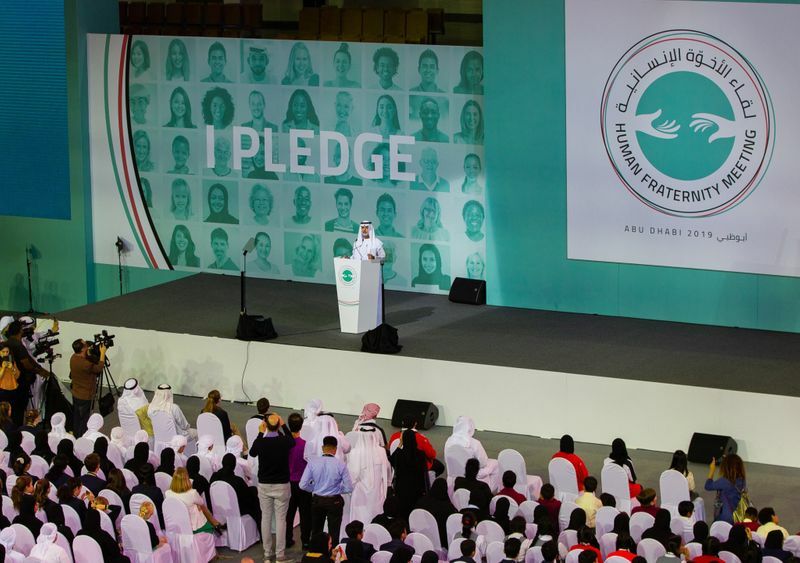 Held at the Mubadala Arena in Zayed Sports City, in the presence of Shaikh Nahayan Bin Mabarak Al Nahayan, Minister for Tolerance, more than 2,000 students from schools from around the UAE witnessed the unveiling of the pledge. 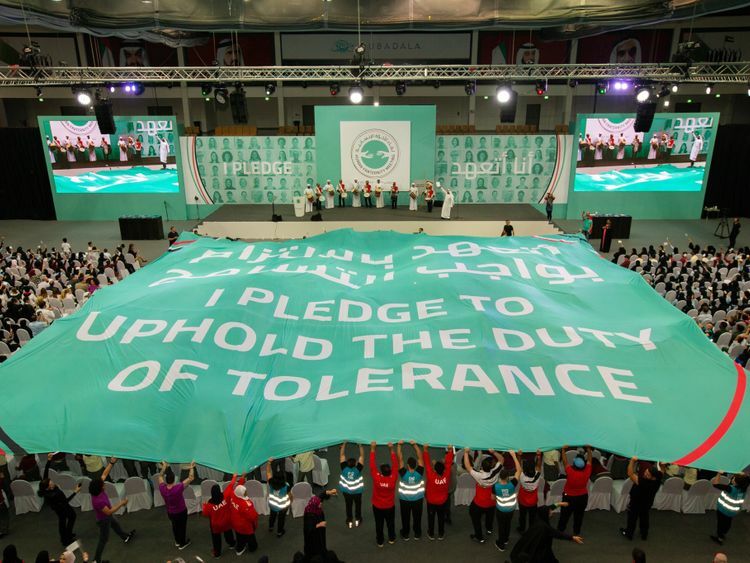 The Pledge of Tolerance lists nine statements, including, respecting others, and taking firm positions against violence and hatred. In addition, the pledge calls on individuals to play their part in creating peace for all. At the end of last year, President His Highness Shaikh Khalifa Bin Zayed Al Nahyan decreed 2019 as the ‘Year of Tolerance’ in the UAE. 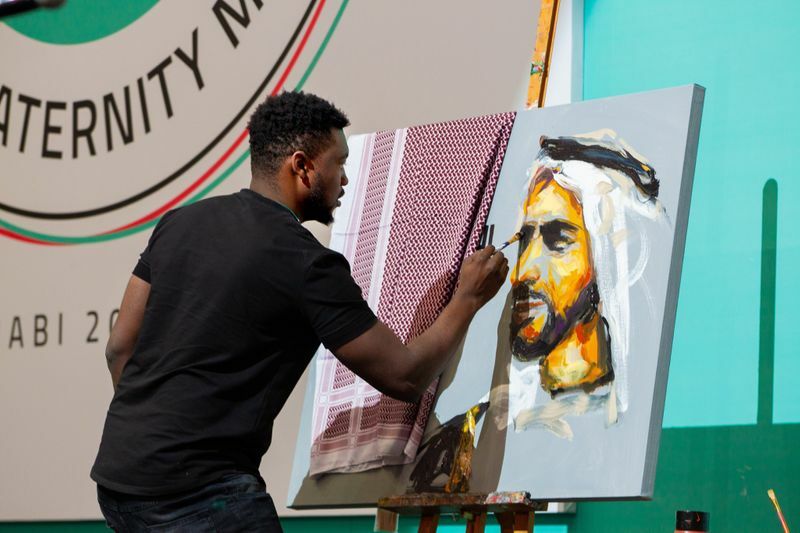 Following on from 2018’s ‘Year of Zayed’, held to reinforce the importance of the wisdom and values espoused by Shaikh Zayed in building a sustainable and unified nation, this year’s theme is intended to solidify the UAE as the global capital for tolerance through a series of initiatives, projects, and cultural programmes that contribute to building tolerant communities. The initiative also concentrates on developing legislative and policy-oriented objectives aimed at deepening the values of tolerance, dialogue, acceptance of others and openness to different cultures, especially among the younger generation, with a positive impact on society as a whole. Pope Francis’ visit to the UAE from February3 to 5 is the first such visit by a leader of the Roman Catholic Church to the emirates. It comes as the country seeks to promote a spirit of peace among nations, and pursue its continuous effort to promote dialogue between religions, deepen mutual respect, and promote peace among peoples.